Living in South Texas is unlike anything else in the world! There are daily experiences that one would expect to find only in more remote regions of Mexico. For example, dodging crates of cactus pads that have covered the street after falling from an overpacked pickup, swerving to avoid onions and pineapples littering the road, hearing the screeching of flocks of parrots long before they fly over. More recently, the sounds of Homeland Security and Border Patrol helicopters have become commonplace. In our part of the world, everyone samples the produce in the grocery store before they buy it (or don’t). Cars frequently are seen heading the wrong way into oncoming traffic to avoid the necessity of making the block. While I’d be perfectly happy to live without any of those experiences (and plenty of others), one thing that I absolutely love about South Texas is barbacoa. 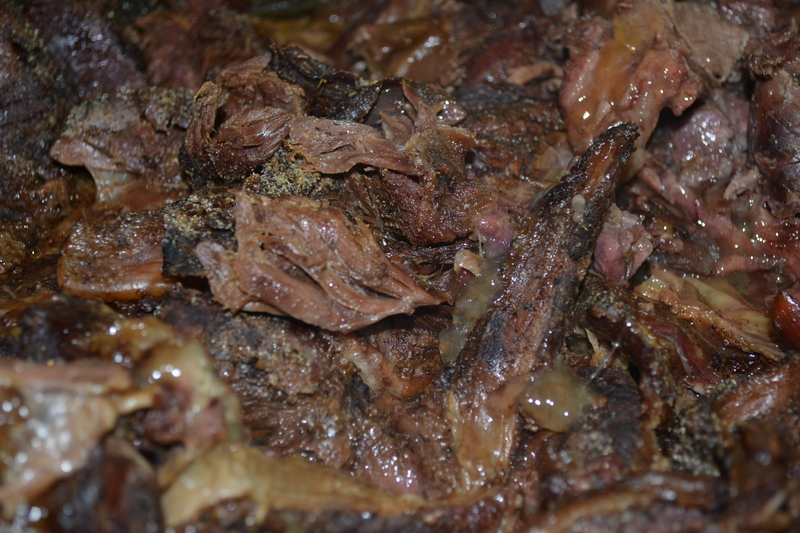 Barbacoa is traditionally made from the head meat of a cow or goat, sometimes just the cheek, either buried in the ground or cooked in a pit until the meat falls away from the bone. 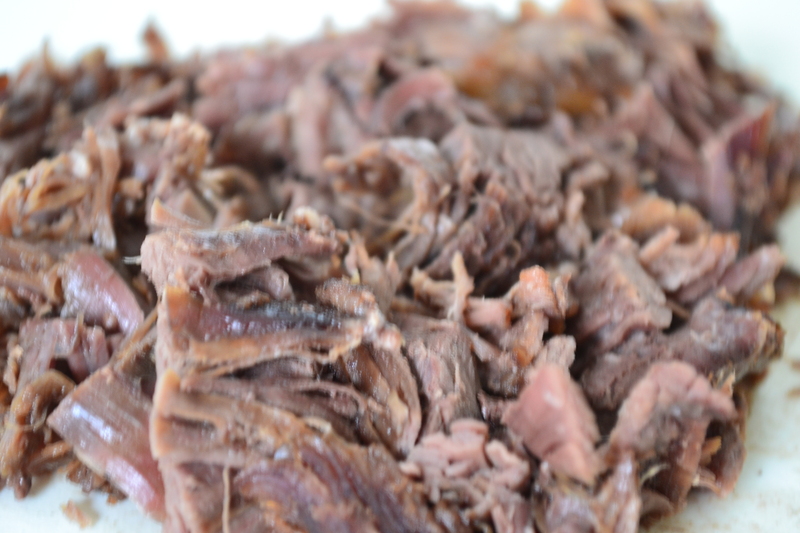 This lengthy process is the reason that barbacoa is usually only available on weekends in many restaurants and the focal point of many family gatherings. I stumbled upon this recipe quite by accident. I needed a quick dinner and had some “cook-all-day” nilgai packaged into one-pound portions in the freezer. It really saved the day. I’d say it was a 30 minute meal, start to finish since I added Mexican rice, which took 20 minutes to cook, and some bean soup that I simply had to thaw and reheat, as well. Chop and shred meat into a cast iron skillet. Add enough beef stock to cover meat and simmer on low. Add ½ to 1 teaspoon of comino and stir. Season with salt and pepper mix. Allow stock to reduce by about a third. This is a perfect time to prepare Mexican rice. Serve with fresh corn tortillas and pico de gallo. Sometimes the easiest recipes surprise us. The Deerslayer clan really enjoyed the meal and it was pretty effortless thanks to a little advanced preparation at the start of the season. Beans with wild pork shank are as easy to prepare in large quantities as it is small. Frozen in bags and stacked in the freezer make it a great go-to. I usually add extra beef or chicken stock since the deerslayer clan likes their been soupy. A little garnish of fresh cilantro adds flavor and flair. 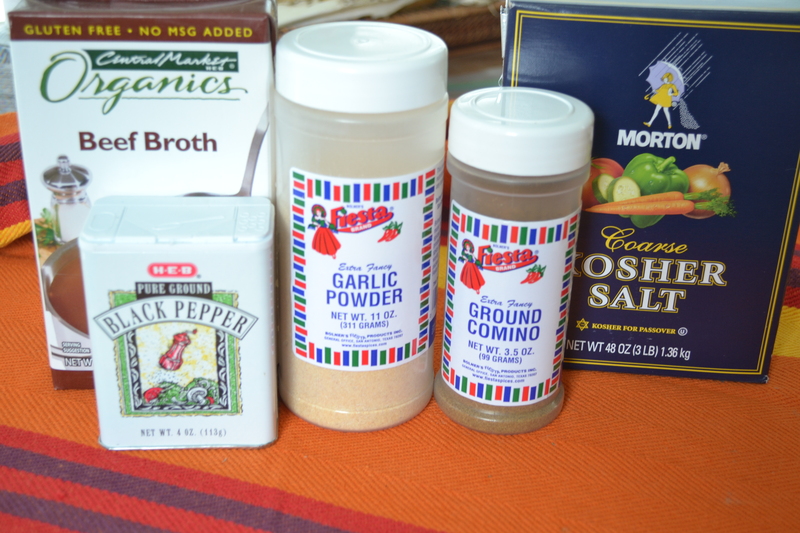 I added some beef stock, some kosher salt, pepper, garlic powder (Tommy’s Secret Mix) and a little comino (cumin). I simmered the meat for about 20 minutes until some of the juices thickened. 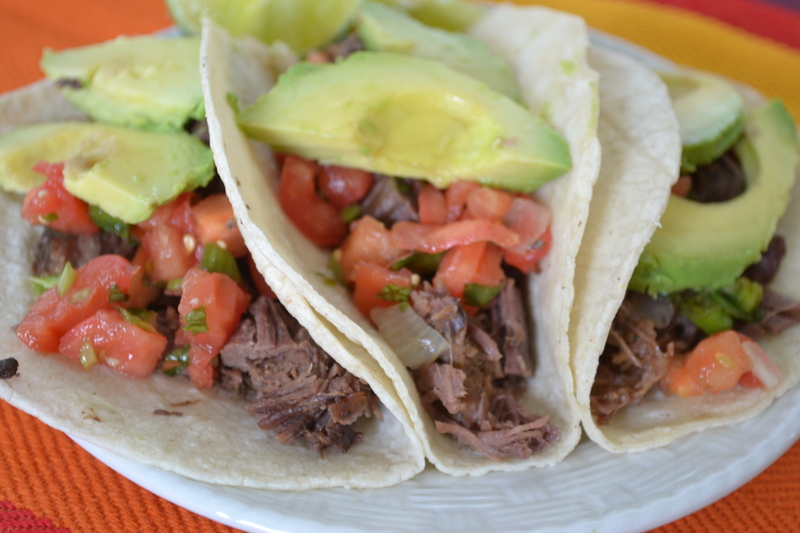 Everyone in the family agreed that the texture and flavor of the meat was very much like barbacoa. The rib meat has a great deal of connective tissue that, when cooked all day, breaks down into sticky, deliciousness. While most of my readers may not have access to nilgai, venison would certainly suffice for this recipe. Any sinewy parts like shank or rib meat would cook up the same way. Just one more recipe for meat that most hunters throw away or grind. Yay! You are very fortunate to live in such an amazing place! There isn’t much access to nilgai up here! Looks incredible! I made the recipe again last night. It worked quite nicely with venison as well. Regarding the locale, “amazing” hits the nail on the head. Great to read! the place you live sounds wild! I want barbacoa now! Yeah, it’s a unique setting, for sure. It just screams out for margaritas and Tex-Mex food. Ha! You can’t even buy produce at Wal Mart in my town because of all the “sampling”. But I can buy goat at HEB, so there’s that. That’s what I like about Texas! Love that HEB! Ours has aguas frescas and fresh corn tortillas.